This series furthers the International Test Commission's goal of improving the quality and accessibility of assessments worldwide. The books provide in-depth studies of testing in a variety of areas, including psychology, education, counselling, organizational behaviour, and human resource management. 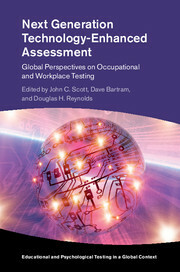 They examine how technological advances and globalization are altering psychometrics, taking into account the effects of cultural idiosyncrasies on measurement and on how we interpret test results.